Dr. Richard Anderson, of the USDA Human Nutrition Research Center in Beltsville, Maryland, and his colleagues were looking into the effects of chromium on insulin action. While testing various foods, they found something that had a much greater influence on blood sugar, cholesterol, and triglycerides: it was apple pie. It turned out to be the cinnamon in the pie that produced what Anderson called the “most significant nutritional discovery he’s seen in 25 years.” He said that cinnamon could produce effects that in some cases are nearly as dramatic as those produced by statin drugs, which millions of Americans take to lower their cholesterol(1). Other studies have found that the spice can lower blood pressure and improve insulin function(2), that it delays stomach emptying and reduces the rise in blood glucose after eating(3), and that it may alleviate diabetic complications by preventing the formation of advanced glycation endproducts, aptly called by the acronym, AGEs, because of the role they play in aging. Dr. Anderson and his team tested all species of cinnamon and numerous commercial brands and reported that all worked in a similar way. They identified the active substances as polyphenolic type-A polymers that may function as antioxidants and be beneficial in the control of glucose intolerance and diabetes(4). Since the insulin-like properties of cinnamon were discovered, it has become a popular treatment or prophylactic for insulin resistance and diabetes. Many people assume that if a little is good, more is better, but there is a potential danger in taking too much or the wrong kind. Cinnamon contains coumarin, an anti-coagulant and possibly carcinogenic substance that can cause liver inflammation. The European Food Safety Authority concluded that the TDI (tolerable daily intake) for coumarin is 0.0002 ounces per day for a 130-pound adult, an amount easily exceeded during the Christmas holidays and that as little as three cinnamon cookies could contain enough of the toxin to harm a small child. If the amount is exceeded for a short time only, it may be reversible in a few weeks, but taking supplements made from powdered cinnamon bark regularly may not be such a good idea(5). Courmarin from other sources must also be included in the total. These include some brands of vanilla, especially ones from Mexico, which may contain an extract of tonka beans (Dipteryx odorata), perfumes, herbs such as red clover, sweet woodruff, fenugreek, chamomile, sweet grass, and tarragon, and of course blood-thinning medications such as Coumadin®. Aspirin and NSAIDS could intensify the blood-thinning effect. There are two kinds of cinnamon, but product labels do not usually specify the type. Ceylon, or true cinnamon (Cinnamomum zeylanicum), is a pale tan color; it is milder, sweeter, and more expensive than cassia. Cassia, or common cinnamon (Cinnamomum cassia), is redder, stronger in flavor, and cheaper in price. Most of the cinnamon sold in the US is cassia rather than true cinnamon. Ceylon cinnamon sticks are tight rolls of thin layers; cassia sticks are hollow tubes of thicker bark. Here’s a site that has pictures to help with identification: http://www.ceylon-cinnamon.com/Identify-Cinnamon.htm. Cassia cinnamon contains 0.5% coumarin, while Ceylon contains only 0.0004%. In the picture above, the four sticks on the left, the ones that look like thick scrolls, are cassia. The three shaggy ones on the right are true cinnamon. The beneficial compounds in cinnamon are soluble in water. Coumarin is not, so a water extract of cinnamon will not contain any of the hazardous substance. Dr. Anderson recommends that anyone who wants to take more than ¼ to 1 teaspoonful a day should use a water extract rather than powdered cinnamon. Additional advice from Dr. Anderson was on the Eureka Alert! Website operated by AAAS, the Science Society: “…Eating great quantities of cinnamon straight from the can is not a good idea. Table cinnamon is not water soluble, meaning it can build up in the body with unknown consequences.” Second, powered cinnamon has another limitation. Saliva contains a chemical that negates its effect. Dr. Anderson experienced a 60-point decline in cholesterol only after he switched from sprinkling cinnamon on his cereal to taking it in a capsule. Read the article here: http://www.eurekalert.org/pub_releases/2006-04/foas-cci032206.php. http://www.wonderlabs.com/itemleft.php?itemnum=HE20&ad=goochoccibcinnwater&gclid=CK_diIir4ZQCFQgWiQodPnb_SQ. It can be ordered here: http://www.outletnutrition.com/ciiicipfexof.html. Pure Liquid™ Cinnamon Extract by NuNaturals. The Web address is: http://www.nunaturals.com/products/cinnamon.html. This one says it is based on Dr. Anderson’s research: Doctor’s Best Cinnulin PF® from Integrity Nutraceuticals International. Web address: http://www.drbvitamins.com/nutritionalproducts_summary.asp?id=9. It is not sold from the Website; online sources and retail stores are listed here: http://www.drbvitamins.com/buyhealthsupplements.asp. True to my Southern roots, I drink iced tea year round, and since I don’t always have room for a pitcher in the refrigerator, I put a cinnamon stick in the pot before adding the hot water. Another plus, if you use a microwave to heat the water, it will heat much faster if you put a stick of cinnamon in the pot first. The sticks can be dried and reused. In addition to its potential health benefits, cinnamon has a preservative effect, even at levels too low to taste, and it will help keep the tea fresh and mold-free. I also included a small amount in my recipe for bread to retard spoilage. 1. Valerie Reitman, A dash of cinnamon may help, The Los Angeles Times, January 26, 2004. 2. Georgetown University Medical Center study reported in the Journal of the American College of Nutrition, 2006 (Vol. 25, pp. 144-150), http://cat.inist.fr/?aModele=afficheN&cpsidt=17675769. 3. J. Hlebowicz, G. Darwiche, O. Bjorgell, L.O. Almer, “Effect of cinnamon on postprandial blood glucose, gastric emptying, and satiety in healthy subjects,” American Journal of Clinical Nutrition, June 2007, Vol. 85, No. 6, Pages 1552-1556. 4. Peng X, Cheng KW, Ma J, Chen B, Ho CT, Lo C, Chen F, Wang M., Cinnamon bark proanthocyanidins as reactive carbonyl scavengers to prevent the formation of advanced glycation endproducts, J Agric Food Chem., 2008, Mar 26;56(6):1907-11. Epub 2008 Feb 20. 5. BFR Federal Institute for Risk Assessment, Selected Questions about coumarin in cinnamon and other foods, Updated FAQs, 30 October 2006, http://www.bfr.bund.de/cd/8487. 6. Baker WL, Gutieerrez-Williams G, White CM, Kluger J, Coleman CI, Effect of Cinnamon on Glucose Control and Lipid Parameters, Diabetes Care, 2008 Jan; 31:41-43. Epub 2007 Oct 1. For more information, go to Pub Med page: http://www.ncbi.nlm.nih.gov/sites/entrez and type “cinnamon diabetes” in the search bar. You will find about 40 articles, including most of the ones cited here. Penzys spices sells both cassia and true cinnamon online and through their stores. Here is a link to the Penzys Website: http://www.penzeys.com/cgi-bin/penzeys/c-SpicesAs_Herbs_and_Seasonings.html?id=p9RbW7MN. Consult a knowledgeable health practitioner before starting supplementation if you have diabetes or are taking medications. AGEs, Cassia, Ceylon Cinnamon, Dr. Richard Anderson, Insulin control. Bookmark. Excellent, timely information. A friend is using cinnamon capsules along with her diabetes meds, says that her b.s. is down significantly after using 1 cinnamon capsule per day. Bottle label suggests two capsules per day. I'm passing this article on to her. Thanks. Thanks for the comment, Anonymous. I'm glad you found the article helpful. As a long-time low-carber I keep cinnamon for those times I may have over-indulged as a kind of insurance. Anonymous: Thanks for the comment. Glad to know that the cinnamon helps! eliminating the feel of hunger. The small intenstine also absorbs nutrients from the food through villi and gives these nutrients to your blood. Very fond of cinnamon from Vietnam Nam. It is more expensive, but worth the flavor. Would like to see more studies on its health benefits, especially anti-bacterial. Debbie: unfortunately, cinnamon from Viet Nam (Saigon cinnamon) has the highest level of courmarin. Perhaps you should use it as a water extract and not as a powder. 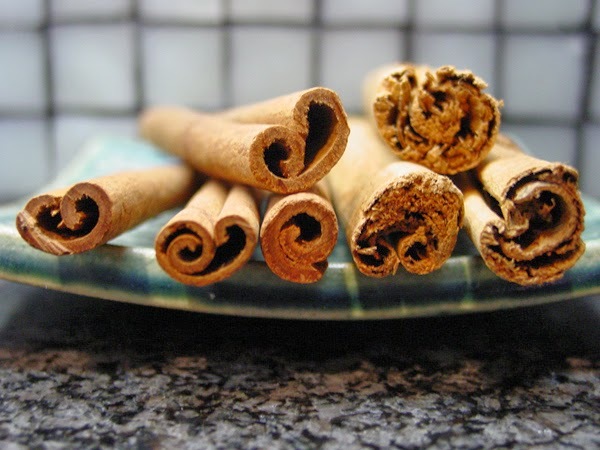 "The ‘highly prized’, and most used, cinnamon is called Saigon cinnamon – which tends to impart the most intense flavor. But, it also contains the highest level of coumarin. A teaspoon of cassia cinnamon powder contains 5.8 to 12.1 mg of coumarin and, according to the European Food Safety Authority; a daily teaspoon might exceed the limit for smaller individuals. Since cassia cinnamon is not labeled with the amount of coumarin it contains, it is impossible to tell the amount anyone is really getting. Coumarin is the parent compound of warfarin (known by its trademarked name, Coumadin), a medication used to keep blood from clotting. For this reason alone, it is advisable not to go over the recommended amounts." On the other hand, that may be beneficial when blood clots are to be avoided. Debbie, yes, it is possible that cassia could be used like warfarin, but only if it were standardized so you could be sure you were getting the correct amount. Potent medicine should never be eaten as food, only taken in prescribed doses. Hello. I see that Cinnamon also has 6 g carbs per tablespoon…is the carb count too significant for diabetics? A tablespoon of cinnamon would be a huge dose. Less than 1/2 teaspoon is what Dr. Anderson (the researcher who discovered the use of cinnamon to lower blood glucose) recommends as a maximum daily amount. That would be 1 carb.